Amazon is the largest online retailer in the world; most of us have purchased something (if not 100’s of things) from Amazon. You may have noticed that some of the products in the Revere’s Riders online store redirect you to Amazon for purchase as well. Revere’s Riders is one of the eligible non-profit organizations that you can donate to via AmazonSmile. 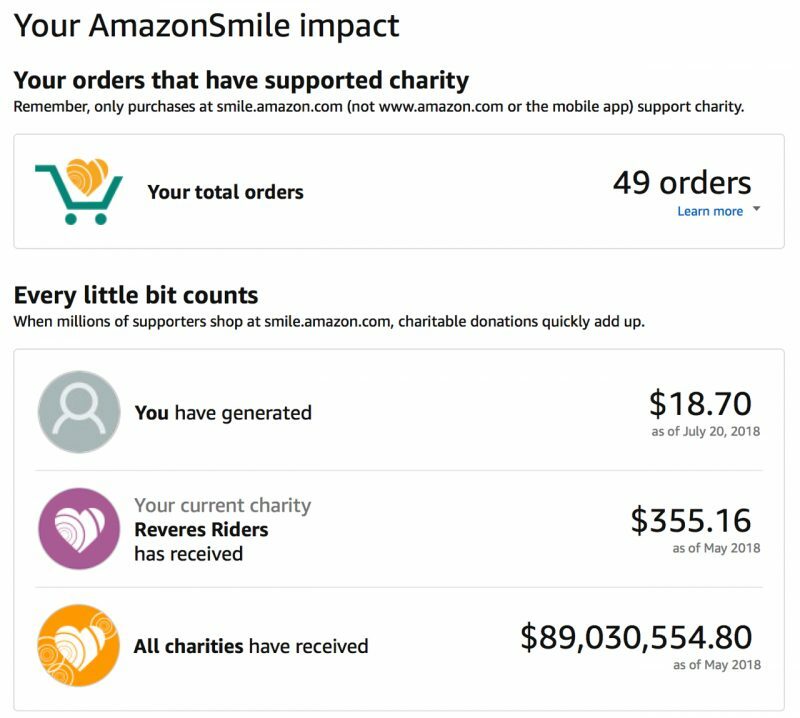 While $18.70 may not seem like a lot, when dozens or even hundreds of people combine to support a given charity it starts to add up to significant amounts of money (like $355.16 total AmazonSmile donations to Revere’s Riders). If you are a regular user of Amazon and don’t already use AmazonSmile, give it a try and specify “Revere’s Riders” as your charitable organization!